What an absolutely stunning wedding venue Magdalen College is! I was thrilled to have the opportunity to photograph a wonderful wedding celebration there last summer. Siobhan and Oliver had chosen this historic location as the backdrop for their wedding reception. Oliver is actually an alumni of the college so it was also a personal choice for this lovely couple. 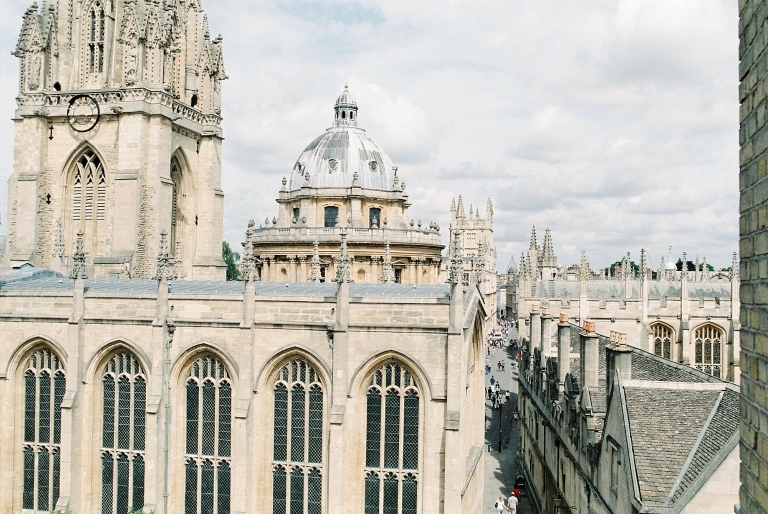 Magdalen is one of Oxford’s most prominent Colleges, founded in 1458 with a rich history. The College is set within 120 acres of parkland in the heart of Oxford. As a wedding venue it has everything going for it: inspiring medieval buildings, beautiful gardens with a deer park beside the River Cherwell. Siobhan, her bridesmaids and her mother were getting ready in the nearby Old Bank Hotel. As the bride was having her make-up expertly applied by the lovely Cat, her bridesmaids were ensuring her champagne was topped up and her dress was crease free. Siobhan wore an elegant dress by Charlie Brear, a two piece ensemble with a silk gown and a lace coat. She looked stunning!. The wedding party all jumped into taxi’s to take us to the church. To allow plenty of time for the traffic, Siobhan and her wedding party decided to have pre-ceremony drinks in Brown’s, a hop, skip and jump from church. What a great idea! The Oxford Oratory, Catholic Church of St Aloysius Gonzaga is a very impressive church of of French Gothic inspiration. It was a wonderful setting for Siobhan and Oliver’s ceremony. 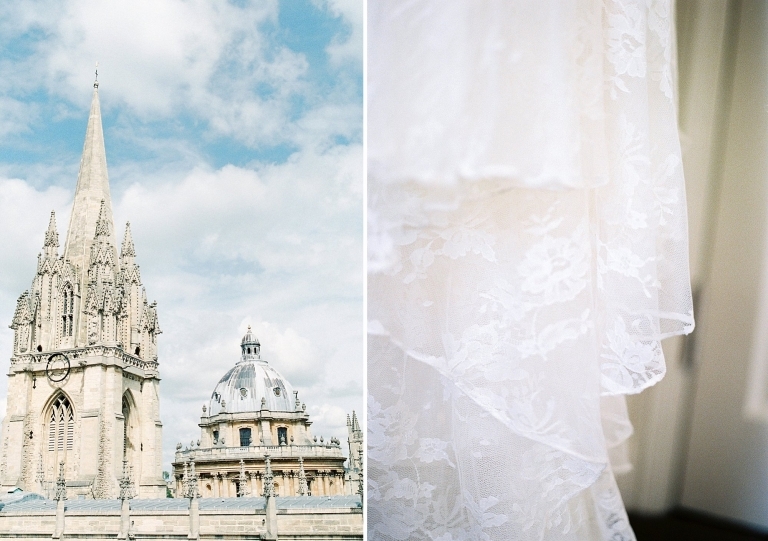 The couple had decided to lead their guests through the streets of Oxford to Magdalen College, on foot. What a merry troop it was and a great opportunity for photographs and also a treat for passers by. It was a glorious day and perfect for a champagne reception on the Cloisters lawn. Guests were serenaded by a swing singer and enjoyed canapés and chats. Siobhan, Oliver and I headed off to make the most of the amazing College grounds for their portraits. What a romantic and delightful backdrop! The wedding breakfast was served in the Medieval Hall, where the students themselves eat their meals. Looked very different to my school canteen… Wood panelled walls and delicious light through the stained glass windows created a warm atmosphere. 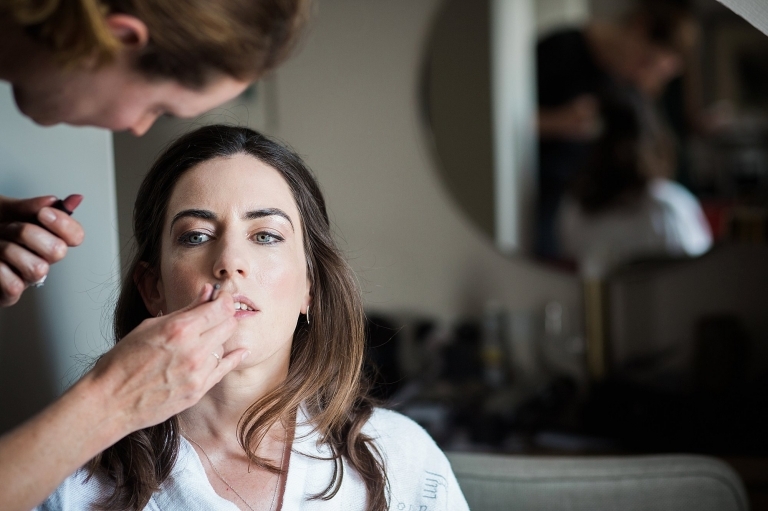 Siobhan and Oliver had created a lovely and relaxed atmosphere for their wedding, which when surrounded by such stunning and imposing buildings is no mean feat. The couple headed off to Carcassonne for their honeymoon and I was also heading out there for a wedding the same week! So, it wasn’t really a surprise to come across this lovely couple whilst having a coffee in the Place Carnot.